So you’ve written your book. Congratulations! No matter what genre you write, you have two main choices now. You can publish it the traditional way or you can self-publish. Both options have their pros and cons; it really comes down to personal choice. If you do decide to self-publish, Amazon’s Kindle Direct Publishing is one of the first platforms you’re going to want to use. Like Amazon or hate it, it’s hard to argue its effectiveness. Getting your book onto Amazon can seem like a daunting prospect, but I promise you, it’s really not. Once you’ve done it a few times, and you’re familiar with the process, it only takes a few minutes to upload your book. The first thing you’ll want to do, and you can do this at any stage of the book-writing process, is sign up for a Kindle Direct Publishing account if you don’t have one already. Sign up here – Amazon KDP. You probably have one already, though. If you have an Amazon account, you have a KDP account. One of the first things they’ll ask for is the information of the publishing company you’re using. Obviously you’re self-publishing, so the information here would be your name and address. You don’t have to use your home address, but you do have to use a valid address. A PO box is fine if you have one. This is mainly for tax purposes and for Amazon to mail you royalties. Amazon’s servers are secure, so you can use your home address without worrying about it. (They’ll mail royalty payments here if you choose “check” as your payment method. If you choose a different method, they’ll still need this information, they just won’t use it for mailing royalties). When you’re setting up your KDP account, you’ll also choose your payment method and fill out your tax information. That’s it – you’re ready to start publishing on Kindle Direct Publishing. Once your account is set up, there are two parts of the process you’ll need to complete in order to get your book out into the world. The first step is to prepare your book. The second step is to publish your book. That’s it. Just two measly little steps to get your book out there! 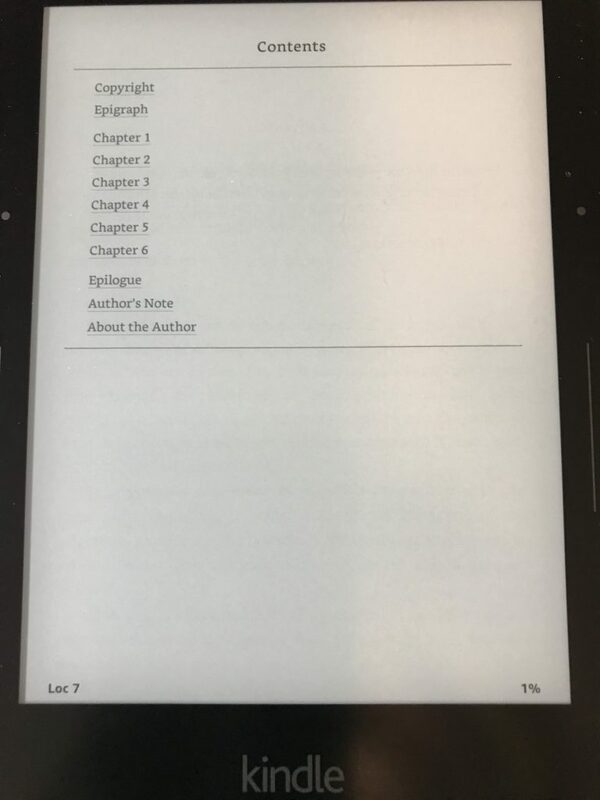 If you’re planning to publish with Kindle Direct Publishing, it’s best to keep their formatting rules in mind when you’re writing your book. The best file format options for this are Word, HTML, Mobi, and epub. Word is the easiest to work with, so that’s what I recommend, especially when you’re starting this process for the first time. As you write, standard Word formatting – italics, bolding, headings, etc – is fine, but special formatting, like headers, footers, and special fonts won’t transfer over. Don’t use line breaks, just let Word wrap the text naturally, but do use page breaks at the end of each chapter to separate them. This is really, really important. Your book will NOT format the way you want it to if you don’t use page breaks at the end of each chapter. Don’t just hit enter at the end of each paragraph. It may not show up the same way across different Kindle platforms. Instead, insert empty space at the end of each paragraph using the Paragraph section of the Page Layout tab. It’s up to you how much space you want to insert. Images aren’t just copied and pasted into the file. Use the Insert Image feature and make sure they’re centered so they look right on the page. But do not put the cover image in the Word file. You’ll upload that separately or create it in Amazon’s cover creator later. Don’t use the tab or space bar to indent the first line of your paragraph. Set up a first line indent using the Page Layout tab again in Word. Set the first line indent for .5, which is the standard. For chapter titles or labels, use Word’s Heading 1 setting, to ensure everything looks the same on all platforms. The front matter of your book includes everything between the cover and the first chapter. Title page, copyright page, dedication page, preface, and prologue. You don’t have to have all of those, a title page and a copyright page are necessary. The title page is the first page you’ll create. The cover is the first page your readers will see, but you’ll upload that separately. The title page should be centered, with a page break at the end. It’s pretty simple. Just the title of your book and your name. That’s it. That’s all you need on the title page. Your copyright page can be as simple as you want. Technically, all it has to have is the year and your name. “Copyright 2017 by Jane Smith All Rights Reserved”. I recommend making it more extensive than that, though. Please note, this is not legal advice. If you’re not sure what has to be there, definitely consult a lawyer. This is just based on Amazon’s Kindle Direct Publishing guidelines and my own observations after reading a few hundred books a year. The basic copyright notice is what I wrote above – “copyright 2017 by Jane Smith.” You should also add a section stating your reservation of rights. You’ve seen this before – most authors tend to use a generic paragraph that’s been copied over and over and over for decades if not longer. “All rights reserved. No parts of this book may be reproduced….” etc. Next, list your ISBN and the disclaimer paragraph if your book is fiction. You’ve seen this one, too. It’s the one that states that the book is a work of fiction and any resemblance to anyone living or dead is coincidence. Check out the copyright pages in some of your favorite self-published books in your genre and see what they’ve done. The next part of your front matter should be your dedication page, if you’re going to have one. There are no guidelines for a dedication page; they’re 100% up to you. If you have a preface or prologue, these will be the last part of the front matter. Don’t forget the page breaks at the end of each of these areas. So this section is a little out of order. The table of contents comes after the dedication page and before the prologue or preface, but it’s not considered part of the front matter. If you’re creating your book in Word, you can use the built in table of contents builder to create a linkable TOC. If you’re writing your book on a Mac using Pages or a program other than Word, you’ll have to build it manually using hyperlinks and the bookmarks feature. Be sure not to skip this step, though. You definitely want your TOC to be clickable. Even if your book is fiction and your chapters are nothing more than Chapter 1, Chapter 2, etc, you want your reader to be able to navigate their way around your book easily. And make sure you include everything in your table of contents. If you have any back matter, add that to the end of your file. Bibliographies, appendices, an index, glossary, anything you’d like to have. If you’re going to include a preview of your next book or snippets of any of your other books, that’s part of the back matter, too. All of that should be added to your file and should be listed on the Table of Contents. Everything I’ve laid out above should all be part of your file. One big file, starting with the title page, going on to the copyright page, the dedication page, the table of contents, and the preface or prologue if you have them. You’ll upload that to the Kindle Direct Publishing server. The cover is separate from that file. Do not add it to the front of this file. Once you have the file exactly the way you want it, save it as a filtered HTML file – either .htm or .html. Another note – if your book includes images, (besides the cover) you’ll have to create a zip file in order to upload it to KDP. Next, KDP will ask you to upload your cover. Kindle Direct Publishing has a feature called “Cover Creator” and you can certainly use that. I really, really don’t recommend it if you have any other options, though. If you’ve spent any time at all looking through Kindle books for sale on Amazon, you’ve seen those very generic looking covers that are sometimes as simple as a solid color background with the title and author’s name on them. That’s the type of cover you can expect from the cover creator. They do have some images you can use as a background, but they’re also really generic stock images, and you won’t get the quality you want. You can upload your own images, but even if you have an image that you want to use, and that you have the legal right to use commercially, you’re still going to get a pretty generic cover. Seriously – have a professionally designed cover. If you have the skills to do it, feel free, if not, hire someone. There’s a reason we have sayings about judging a book by its cover. Your reader, or potential reader, will absolutely judge your book by its cover. Once you have it and you’re completely happy with it, upload it to the Kindle Direct Publishing server. The format for the image must be .jpg or .tiff to work in KDP. The best size ratio is 1.6, so something like 1000 x 1600. Log in to Kindle Direct Publishing, go to your bookshelf, and choose the option to “Add New Title”. The information you’ll be asked to add is pretty self-explanatory. You’ll add your book’s metadata first – the title, the category, genre, etc. That’s all pretty easy. Next up is the description, which is also important. This is what’s referred to as ‘jacket copy’ in a physical book – the description of the book on the back of a paperback or the inside flap of a hardback’s jacket. Take your time with this. Maybe even write it before you start uploading the book so that it’s ready to go. I don’t know of any character limit Amazon has imposed here, but it’s best to keep it to no more than a few paragraphs. Potential readers aren’t going to read through more than that to decide if they want to read your book or not, and if the description is too long, that can be enough to turn someone off from even starting to read it. Be mindful when you’re choosing categories. This information can help potential readers find your book, so you want to make sure it’s as clear as possible. Your readers will have trouble finding your book if it’s a business book and you’ve accidentally categorized it as mystery. The “contributors” section is where you’ll put your name and any co-authors you have. You’ll also add in illustrators, editors, translators, etc. here. At least one author’s name is required, but that’s the only field that is. Next you’ll confirm that you have the rights to the book, enter some keywords you think will help people find your book, choose two categories, and whether you want to just upload it and go, or create a pre-order link for it. If your book is not an adult book, you can also choose the appropriate age range. Next you actually upload your book to Amazon. It’s just like uploading anything else. You’ll choose the “Upload” button, use the pop-up to browse for the file, then click “Upload book”. Once it’s finished, you’ll get another pop-up confirming a successful upload. Do NOT skip this step. The first time you do this, you’ll have to download Amazon’s Previewer. If you don’t see where it goes when you download it, search for it. You’ll find it in a folder called “Amazon”. Once you have that downloaded and open, go to section 6 of the KDP page, and click on “Download Book Previewer File”. Open it in the Previewer, and check out how it looks. Make sure the title, your name, any contributors names, etc., are all spelled correctly. Check that the formatting looks good, you’ve included all of the page breaks, and the paragraphs are formatted the way you’d like them to be. Confirm that the table of contents links work. There’s a button that reads “Devices”. Use that button and check to see how your book looks on different devices. Make sure you like how it looks across platforms. Write down whatever you see that you need to change. You can’t change anything in the previewer; you’ll do that in the next step. If you didn’t find any changes you need to make in the previous step, you’re ready to move on. If you did find things you’d like to change, go to the HTML file on your computer and open it with Word. Change anything you need to change here. (When you save it, you might want to save it as “Revision 2” or something like that to make it easier to find different versions). Save it as a filtered web page again, and close it. At this point, you’ll basically re-upload it to the Kindle Direct Publishing site. You’ll click on “Actions”, then “Edit book details”, then go to the book content section and click on “Browse for Book”. Browse your computer for the file you edited, then upload it. Then preview the book again, just to be sure everything updated the way you wanted it to. Once this is finished, you’ll be sent to the “Rights and Pricing” page. You’ll fill in the rights information and choose your pricing. Hit “Save and Publish”, and that’s it. You’re officially a published author!! Publishing to Kindle Direct Publishing is really easy once you’ve done it once or twice and get the process down. Setting up the account will only have to be done once, and if you keep the formatting rules in mind while you’re writing the book, that part is easy, too. So there’s no stopping you from getting your book, whatever genre or style you write in, out into the world. And, listen. If this is all still overwhelming and you’d rather not do it yourself, reach out here and I can take care of this for you. Get this info as a checklist. With a mini bonus!